A Union Rags colt purchased by agent Ben Glass on behalf of Gary and Mary West for $250,000 was the top-priced horse sold during the Sept. 20 session of the Keeneland September Yearling Sale. Produced from Town Flirt, a daughter of Speightstown who earned $160,736, the colt was bred in Kentucky by KatieRich Farms, which consigned him to the Keeneland auction as Hip 3265. The colt’s second dam, Open Flirt, by A.P. Indy, produced stakes winner and $252,660 earner Financial Modeling, and his third dam With a Wink was a grade 2 winner who produced three stakes winners. The colt highlighted a strong session for KatieRich, which had four sell for a total of $414,000. Another yearling sold Thursday by KatieRich was Hip 3096, a Tale of the Cat filly produced from Lisa’s Booby Trap purchased by Valorie Lund for $110,000. Lisa’s Booby Trap was named after trainer Timothy Snyder’s late wife, Lisa, who said before her death she would be reincarnated as a horse. Lisa’s Booby Trap was reportedly bought by Snyder for $4,500, which included his life savings of $2,000. The remainder was to be paid from proceeds of the filly’s first win. Blind in one eye, Lisa’s Booby Trap overcame that infirmity as well as flat-footedness to win 10 of her 18 starts, including the restricted Loudonville Stakes at Saratoga Race Course, and earned $182,440. 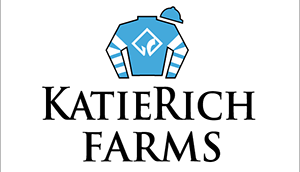 KatieRich purchased Lisa’s Booby Trap privately following trainer Snyder’s death in March 2015.